In our 15 or so years in this business, we’ve learned that the first and most important thing that every driver and team needs to understand is that getting sponsorship is a business deal. It’s tough out there, not only for us racers but for businesses too, so businesses aren’t just handing out cheques to racers for the tax write off anymore. They’re hanging on to every dollar unless there is obvious value, and they can see how they will get some return on their investment (commonly referred to as ROI). In this case, sponsoring you or your race team is the investment. So the trick is, then, to show the value that you can bring to their company to maximize their ROI. To do this, you need to make yourself valuable by looking, acting, and being professional. Sound simple? Unfortunately it’s not, but we’re here to help. 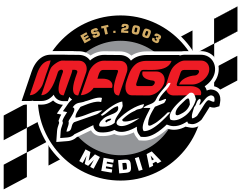 We’ve put all of our resources together to make Image Factor’s “Ultimate Sponsorship Guide, The Complete Racer’s Guide to Gaining and Retaining Sponsors” to help you learn what tools you’ll need to approach sponsors with, and how you can use these tools to gain and retain sponsors throughout your career. We’ll also give you some advice and teach you some tricks that you can use to add value to yourself and your race team. This can then be used to impress sponsors and bring in those cheques not just once, but year after year. Click here to download, fellow racer! Good luck this season, and remember: we’re always here to help with with the tools you need to look professional, and build value for your sponsors. 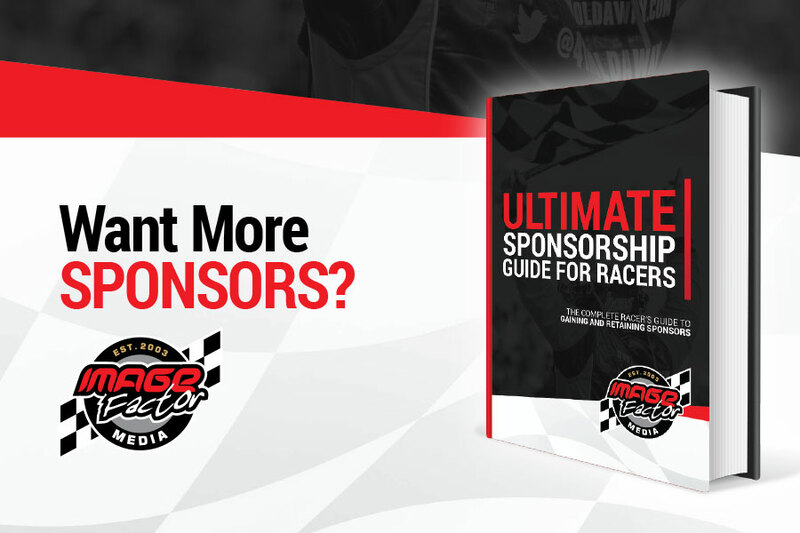 Click HERE to download your Ultimate Sponsorship Guide!